The UTSA Institute of Texan Cultures is a one-of-a-kind cultural venue that hosts a variety of different events for patrons throughout the year. As a venue, the ITC offers multiple indoor and outdoor event spaces, a list of caterers that meet every client’s needs, and a unique opportunity to bring cultural extravaganza dancers and exhibit interpreters to showcase the museum. The museum is honored to welcome every client. Whether a corporate company, non-profit organization, wedding couple, museum member, or a family, the museum has various price options for each group, to help create a vision and make it work with any budget. So come down to the UTSA Institute of Texan Cultures museum to find your event experience here! For more details about rental opportunities, please contact ITC Facility Rentals Office at 210-458-2275 or e-mail ITC.FacilityRental@utsa.edu. 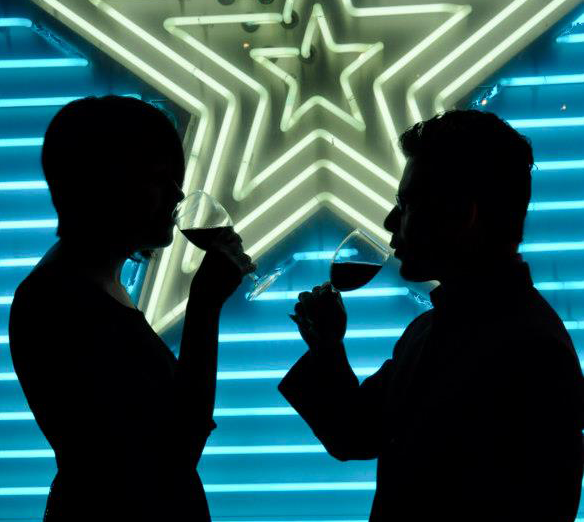 The Institute of Texan Cultures offers various event spaces to host your special occasion from: rehearsal dinners, wedding ceremony, wedding reception, anniversary parties, and birthday parties. In addition, we also offer spaces for your engagement and wedding photos. Exhibit galleries on the museum’s first floor are based on availability and vary per featured exhibit. Ask the ITC Events Coordinator for more details at ITC.FacilityRental@utsa.edu or 210-458-2275. This elegant room is just right for: leadership meetings, staff retreats, business luncheons, and large conferences. The meeting space can be set-up in a variety of ways, and is equipped for audio visual presentations. Your guests will also get a spectacular view of the Tower of Americas and HemisFair park next door. This meeting room allows set ups in a variety of ways from: classroom presentations, training sessions, and even small intimate dinner receptions. There is also the option to partition the room, and make it into two meeting rooms. The meeting room is equipped for audio visual presentations. The Auditorium has a variety of set-ups including: u-shape style, classroom, and theater style. A small stage in front of the room allows for small performances or panel discussions. The meeting room is equipped for audio-visual presentations. This boardroom accommodates for smaller meetings, leadership discussions, planning committees and more. The Back 40 offers a unique, hands-on learning experience in a historical 1800s Texas setting. The large outdoor event space consists of: a one-room schoolhouse, a log cabin, a barn, an army fort barracks, and an adobe house. There is also a small covered stage area that can be used for entertainment purposes. Any of the historic buildings can be opened for your guests and be interpreted by one of museum volunteers. The Veranda and Patio areas offer an outdoor breezy atmosphere fit for barbeques, buffets, banquet dinners and dancing! The Veranda wraps around the exterior of the museum building and is fully shaded. The Patio areas are beautiful open-air event spaces shaded with oak trees, some picnic benches, and a theater- style staircase for your guests to receive the best view of the featured entertainment. Experience the Cultural Extravaganza Show! The show, approximately 20-30 minutes long, includes dance performances by various ethnic and cultural groups. We guarantee a show that features the diversity of the ethnic communities in the great State of Texas (Availability of a particular group cannot be guaranteed.) Ethnic/Cultural groups that have performed in the show include: San Antonio Pipes and Drums, Fire on the Mountain Cloggers, Peruvian dancers, Lebanese dancers, Chinese Lion Dancers, and Ballet Folklorico. The museum’s Dome Show is a one-of-a-kind attraction. Showcasing 26 giant screens in a 360-degree theater, guests are surrounded by the light and sound of the museum’s feature presentations. The show may be selected for one or more showings during events! Multiple screens above the seating area can also be used for projecting client logos, videos, photo presentations and more. Museum interpreters are available to you and your guests by providing demonstrations and presentations in their respective areas. They offer hands-on experiences in various sections of the museum to showcase how people from different cultures came to settle in Texas. The following exhibits are available for interpretations: American Indian, Sharecropper’s House, Chuckwagon, Los Tejano, Jacal, and the Spinning and Weaving area. The buildings on the Back 40 Outdoor Learning Area capture the spirit of the Texas Frontier. The log house, army fort barracks, barn, adobe house and a one-room schoolhouse are popular destinations for community organizations, family portraits, engagements and bridal photos. The Institute of Texan Cultures is a working museum, open seven days a week. Due to a photo shoot’s potential impact on a visitor’s experience, the museum manages non-media professional photography requests as after-hours rentals. Note that photography and videography of some exhibits may be restricted due to loan agreements. Please coordinate with the Communications Office for more information. When applicable, photographers are solely responsible for obtaining appropriate releases from participants. The Institute of Texan Cultures Office of Communications can be reached at: 210-458-2237. There is a base fee of $50 for the right to take professional photographs on the property. Additional charges will be incurred if there is a need for additional museum support. This includes photography without the intent to publish or sell, such as portfolio building. The museum reserves the right to approve the content of all photo shoots in advance. When applicable, photographers are solely responsible for obtaining appropriate releases from participants. Professional photographers will be asked in advance to sign in and wear a visitor badge. When a professional photo shoot is scheduled, the Facility Rental Office will advise appropriate departments, including ITC Security, in advance. The Institute of Texan Cultures reserves the right to approach any photographer carrying what appears to be professional-grade equipment to determine the nature of the photo shoot and if a rental, media visit or student project has been coordinated. Members of the media are asked to coordinate their visit with the Communications Office prior to or at the start of their visit. When applicable, photographers are solely responsible for obtaining appropriate releases from participants. Note that photography and videography of some exhibits may be restricted due to loan agreements. Please coordinate with the Communications Office for more information. Art and photography students are asked to coordinate their visit with the Communications Office prior to or at the start of their visit. The museum will make every effort to accommodate student requests. Students will be asked to provide a student identification card, the name of the school, class and teacher. Clients are required to choose from this list of pre-approved caterers; other arrangements may be discussed with the ITC Events Coordinator. Should you have any questions regarding catering, please contact the ITC Events Coordinator at 210-458-2275 or ITC.FacilityRental@utsa.edu.